Dr. E. D. Michael was born in West Virginia on Plum Run, Marion County, and received a B.S. degree in Biology from Marietta College and M.S. and Ph.D. degrees in Wildlife Ecology from Texas A&M University. He taught at West Virginia University from 1970 through 1998. Following retirement, he became a part-time resident of Canaan Valley and conducted numerous scientific studies on the ecology of snapping turtles in that unique ecosystem. That research formed the basis for his first historical novel, A Valley Called Canaan: 1885-2002. 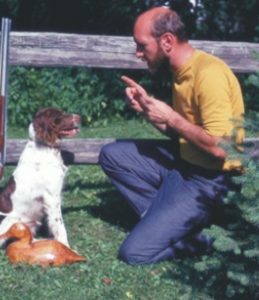 His 50-year career as a wildlife biologist resulted in more than 100 publications, both scientific and popular. One of his major contributions involved surveys to document the distribution, life history, and ecology of the endangered, West Virginia northern flying squirrel. Dr. Michael continues to be an active outdoorsman, researcher, and writer, concentrating his efforts on wildlife of the central Appalachian Mountains. He is also author of The Last Appalachian Wolf.